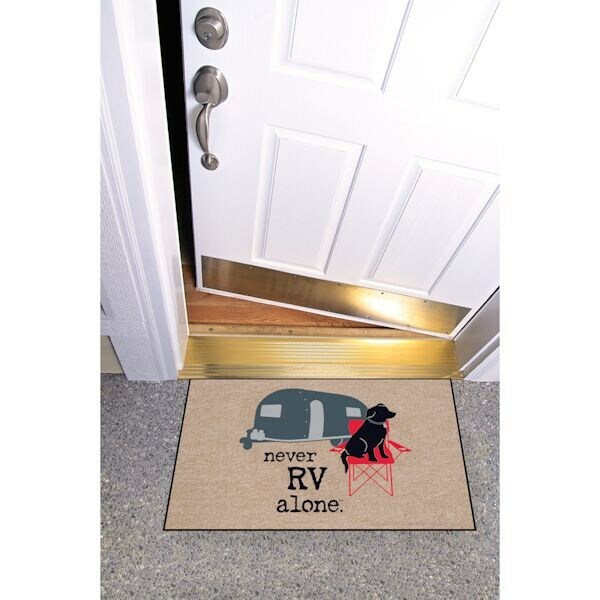 Express your love for your four-legged RVing partner with this clever doormat. 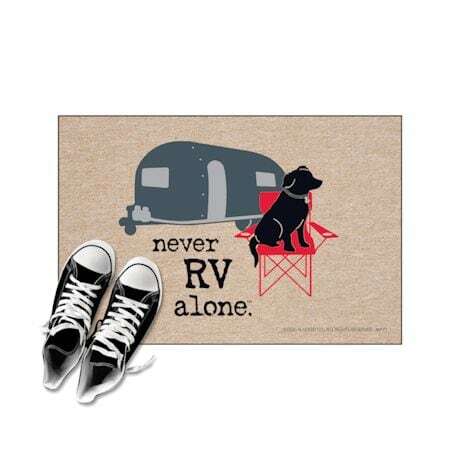 Durable indoor/outdoor design makes it easy to clean with a hose and brush. Do not machine wash, dry flat. Perfect bound stitched edges. Makes a great gift! Measures 18" high by 27" wide. Made in the USA.